The cost of visual impairment in the UK is substantial with the direct medical cost estimated at £2.14billion in 2008 (Access Economics, 2009). When the indirect cost to society and the individual are estimated, the total cost approximates £22billion (Access Economics, 2009). Maintaining good eye-health and trying to reduce sight loss are important issues for everyone. However, there are particular eye conditions which have a much higher prevalence in particular Black and Ethnic Minority communities (BME). People from South Asian descent are 6 times more likely to develop diabetes and therefore Diabetic Retinopathy. 1 in 10 people from Minority Ethnic Communities over the age of 65 will experience serious sight loss. Ethnic population has risen to 14% in Wales a 2.1% rise in 10 years. The largest group is made from Asian people which has doubled over 10 years to 71,000. The growing minority population size requires more work to be done with minority communities to prevent increasing the level of avoidable sight loss in Wales. 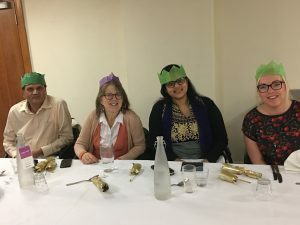 MegaFOCUS (Minority Ethnic Groups Association for Ophthalmic Care Uptake and Service Improvement) in Wales was set up to include all sectors of eye health in Wales meeting together with a common aim. 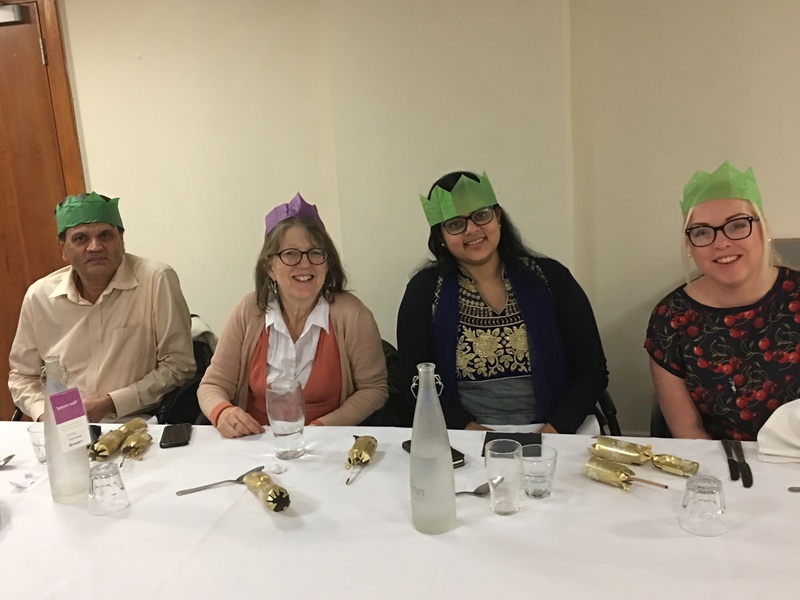 Despite being at high risk of developing eye conditions, people from Minority Ethnic Communities are not as frequently accessing services such as the Eye Health Examination Wales (EHEW) or the retinopathy screening service which are available to prevent sight loss. 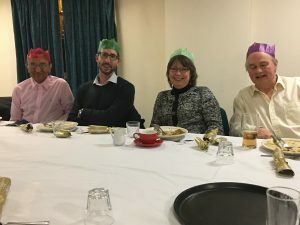 Pictures below are of some members of MegaFOCUS attending their Christmas meal….